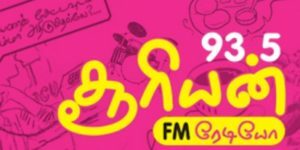 Suryan FM Chennai 93.5 Tamil Radio Live Streaming . It is The First Tamil private FM station in Tamil Nadu . Listen 60 tamil radio stations Online. Address : Suryan 93.5 FM , Sun TV Network Limited, 73, Murasoli Maran Towers,MRC Nagar,Chennai –600 028.